Pets As Presents? Let's talk about it. Pets As Presents? Lets talk about it. The holidays are right around the corner and, once again, some people will think a pet is the perfect gift for a family member or friend. As a veterinary professional, you may be asked for recommendations or advice, which gives you a unique opportunity to provide client education about the commitment of pet ownership. A young pet requires dedication and patience, which must be impressed upon potential owners or gift givers. Days and nights can be long because of housetraining challenges, inappropriate chewing, scratching, and biting, and whimpering. On the other hand, older pets likely have some training, they know what is expected, and they often fit right into families and live very comfortably; however, they can present their own set of challenges (eg, unknown histories, unresolved medical conditions, unwanted behaviors). A pet is for life—not just the holidays. While pet ownership can enrich anyone’s life, the recipient’s age must also be considered; for example, children and the elderly can have limitations. Young children may not be responsible enough to adequately care for their new pet, so the parents must be willing to accept the responsibility. Older adults reap many benefits from pet ownership, such as companionship, but they may be limited physically (eg, driving restrictions, impairing medical conditions). 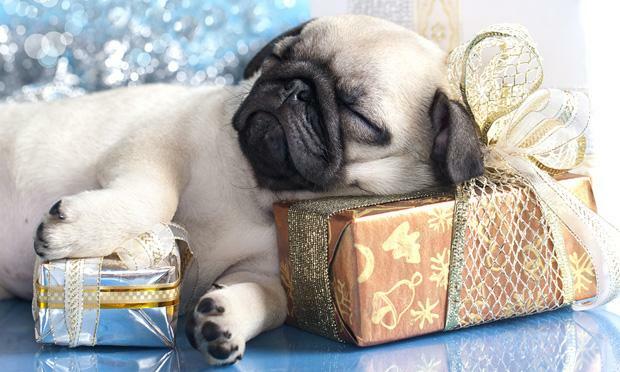 Successful gifting of a pet includes matching its lifestyle with the owner’s. Pets usually need daily exercise as an outlet for their energy and possibly to decrease undesirable behaviors,1 and even well-intentioned parents may have busy lives that do not include time for exercising the family dog. Older owners may not physically be able to walk any dog, small or large. What follows—the guilt he or she feels because he or she cannot provide proper care—is even worse. However, keeping a pet that someone cannot care for adequately is unfair for both the person and the animal. A pet is a lifelong commitment. A dog’s average life span is roughly 8–16 years; for indoor cats, it is 13–17 years. Children grow up and move away from home and sometimes cannot take their childhood pet. Elderly owners, though we hate to think about it, often pass away, leaving their pet behind. A pet’s transition to a new environment can take time and should not be rushed. Pets need space for themselves and their belongings (eg, a yard for safe play, a bed, toys). Keep in mind that some apartments and rental homes will require extra fees for pets and may have breed restrictions. A pet’s transition to a new environment can take time and should not be rushed, because spending time to bond, train, and set expectations is crucial. During the holidays, it is especially important to think about schedules, which may be so busy that there is no time to acclimate a new pet to its environment. On the other hand, some people may have more time during the holidays. Future events such as a new baby or travel plans that may conflict with the addition of a new pet should also be considered. Just like humans, not all pets get along. If there is already a pet at home, a “meet and greet” is recommended before introducing a new one. This should be considered before giving a new pet as a surprise that cannot be returned. No matter the time of year, an open, honest discussion between those involved should take place before a pet is added to a household. Do the recipient and the animal a favor by asking beforehand if a pet is wanted—a donation to the local shelter or a volunteer opportunity may be all the recipient really wants. Gift certificates for a shelter pet are increasing in popularity because they allow the recipient to choose a pet when the time is right. A recent American Society for the Prevention of Cruelty to Animals study found no direct correlation between receiving a pet as a gift and an increased rate of relinquishment. However, as veterinary professionals, we are responsible for helping to nurture the human–animal bond. By considering all these factors, we help our clients do just that. Simply speaking, a pet is for life—not just the holidays.